Lisa Witter is an award-winning social/political entrepreneur, executive and architect and maker of change. She has counseled CEOs, Nobel Peace Prize winners, politicians, philanthropists, scientists and academics on how to be more effective public speakers and influencers, drawing upon her 20+ years of experience and insights from psychology, politics and behavioral science. In 2010, she was honored as a Young Global Leader by the World Economic Forum and serves on WEF’s Global Agenda Council on Behavior. She is a frequent public speaker and moderator appearing on such media outlets and platforms as NPR, MSNBC, CBS, World Economic Forum, TEDWomen and The Skoll World Forum. Her guidance in gathering social acumen for more effective engagement is often sought by thought leaders at global forums such as Clinton Global Initiative, Deauville Women’s Forum, Pop!Tech, Stiftung Mercator and the Women Moving Millions Annual Summit. With her breadth of experiences across political, social and philanthropic organizations, she is an expert in communicating to diverse audiences and building effective collaborations between sectors. Lisa’s commentaries on women, politics, behavioral change have been published in publications including Fast Company, Stanford Social Innovation Review, Newsday and The Seattle Times. In 2004, Witter was a contestant on the Showtime reality show, “American Candidate.” She regularly speaks on issues such as new media, corporate social responsibility, influence science and women’s empowerment for companies such as PNC Bank and Cognizant Technologies. Her company, WITTER ventures GmbH, is a social business that works globally to apply behavior change communications to develop and implement innovative, practical solutions in partnership with companies, foundations, NGOs and individuals. Some of her clients include organizations such as Oak Foundation, Stiftung Mercato, Crisis Action, Social Progress Index, National Geographic, UNICEF and Women Moving Millions. Prior to founding her own company in 2013, she was a partner and Chief Change Officer for 14 years at Fenton, the largest public interest only communications firm in the world. She is co-author of The She Spot: Why Women are the Market for Changing the World and How to Reach Them. 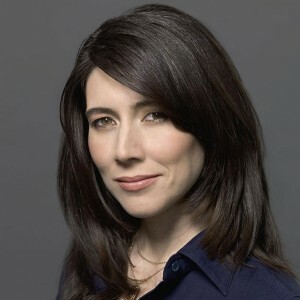 She is a co-founder of the award-winning SheSource.org and was honored as an outstanding activist by Oxygen.com in 2000. Lisa is on numerous advisory/boards including Maxwell Health, the Op-Ed Project, Danone’s Stonyfield Farms. She studied at the University of California Santa Cruz, the University of Washington, the Universita di Padua and the Harvard Kennedy School Executive Education. Her passions are hanging with her two little dudes playing sports – adventuring in nature and doing the robot dance, skiing and snowboarding with her hubby, being an autodidact, late night movies alone, wearing pretty dresses, losing herself in music and feeling deeply connected (sometimes with red wine) to wherever and whomever she is with. She resides in Berlin but lives globally, including a significant amount of time in New York City, Geneva and London. “I worked on the Obama campaign as an early state staffer and saw every speech, from Iowa, to New Hampshire, to the “Race” speech. I saw firsthand the power of words and effective communication to create enormous change. Simply put, participating in a workshop with Lisa helped me understand and absorb the fundamentals of effective communication at the highest levels. It helped me understand how I could use words and communication as a tool for myself, and my own vision. She taught me how to reach people where and how it counts. I’d go back to Lisa’s workshop again and again. She’s an expert. And she’s wonderful.” – Donnel Baird, Founder of BlocPower. What is New and What You Need to Know. Trends in Corporate Social Responsibility: Get on or be gone?